Electronic checks eliminate the need for sending checks by mail. 1. Can a Tax Refund Be Wire-Transferred? 2. Can a Bank Mortgage Company Take Your Tax Refund? Guarding your bank account balance is harder and harder with the ease of automatic debits. Using an automatic debit transaction, the creditor does not need your signature or a physical check to access your money. Electronic transfers speed up the time to process your bill payments each month. However, creditors cannot withdraw from your bank account without authorization from the account holder -- with a couple of exceptions. Drafting from your bank account requires authorization from the account holder. According to the Federal Trade Commission, creditors must receive authorization in one of three ways: written authorization, taped phone call or sending written confirmation prior to the debit from your account. Failure to abide by these rules is a violation of law. You may request an immediate refund or seek remedy in federal court. You may also contact your state Attorney General’s office to report the unauthorized transaction. The AG’s office reviews your complaint and may be able to get your money back. Creditors may levy your bank account if they have a judgment from the courts. A judgment is notice from the court acknowledging you owe a debt. Your creditor locates your bank through a method known as skip tracing -- they call around looking for you. Once located, the creditor serves a writ of execution on the bank. At that point, the bank has no choice but to freeze your account balance and turn it over to the creditor. The creditor must follow state laws regarding the amount to be taken. Owing Uncle Sam comes with a different set of rules. The IRS does not need written authorization or a judgment to access your bank account. According to the IRS, a bank levy may be obtained if you fail to respond to past-due tax notices. 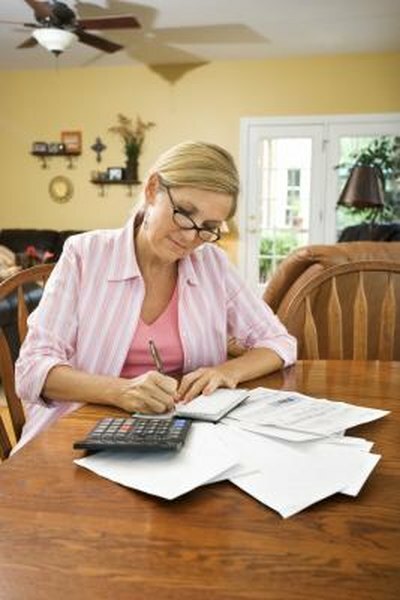 Always stay in contact when dealing with the IRS and past-due taxes. Uncle Sam does not go away without his payday. Unscrupulous characters have taken advantage of the ease of payment using automatic bank drafts. Scam artists use telemarketing efforts on unsuspecting consumers to steal money. Many use free prizes or qualifying for a credit card as an excuse to get their hands on your checkbook. If you receive a phone call asking for your account numbers, be suspicious.